OPINION: One of former prime minister John Key’s most notable parting quotes was that he “likes to be liked”. It’s probably best then that he was never education minister, one of those roles where the ministerial warrant comes with a target to pin on your back. Take Trevor Mallard, who under the Labour government in 2003 set out to close almost 100 rural schools to pump more money into teachers and teacher aides. Coastal Taranaki was on the receiving end of 15 rural schools having their doors locked and windows boarded up – left to rot, a public eyesore, forever the playground of graffiti artists, vandals and arsonists. READ MORE: * Education Minister quitting politics but far from done * No show from Education Minister at school union meeting * Jo Moir: Schools will look to parents’ pockets * Has the Education Minister gone a bit rogue? For years on my return home to Opunake from university, I would pass a huge billboard near the closed-up Oaonui School that read in big bold letters, “Open Season on Mallards”, with a giant picture of the minister and a duck. When it comes to making a point, it doesn’t get much clearer than a giant sign implying the minister should be shot. In that light, Education Minister Hekia Parata could well consider she’s been let off easy. Parata is on the verge of wrapping up more than five years in the job – on May 1 she will pass on the mantle to her more than likely successor, Nikki Kaye. She will also bid farewell to politics altogether in September, having decided not to re-stand at the election after nine years as an MP. While five years isn’t the longest time as a minister, Parata sure packed a lot in, and some commentators are probably still miffed as to how she lasted as long as she did. The former public servant had a rapid rise to the education portfolio and when she was appointed to the role, some argued she wasn’t ready for it given she’d never been an Opposition MP, let alone an education spokeswoman. Novopay, one of the biggest pay blunders the country has seen, was her first big mess to clean up. She ended up getting a lucky escape after then Economic Development Minister Steven Joyce got handed ministerial responsibilities for the botch-up – a portfolio no minister would die in a ditch for. But Novopay was only a taster of the backlash that was to come from not only the unions, but the public, over her plans to increase class sizes and her decision to close or merge 31 schools in Christchurch. Even Parata has described that year – 2012 – as her “annus horribilus”. She managed to survive a Cabinet reshuffle in January 2013, but a One News-Colmar Brunton poll the following month revealed 59 per cent of those surveyed thought then Prime Minister John Key made the wrong decision keeping her on. Rising like a phoenix from the ashes, it’s Parata’s incredibly optimistic outlook on life and relentless determination to succeed that no doubt kept her afloat. Everyone has an axe to grind when it comes to education – it’s one of those few areas, like health, where there’s no escaping the system. That’s why the outcry from parents, grandparents, aunties, uncles, students and basically any member of a school community is so deafening when a minister gets it wrong. 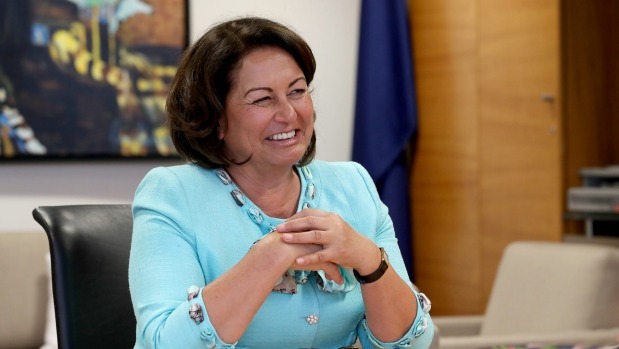 But Parata, despite the doom and gloom of her earlier years in the job, has managed to wrap up her tenure on a bit of a high. The creation of Communities of Learning – a collaborative pathway where teachers identify a student’s needs from early childhood through to secondary school and tertiary education – will go down as one of Parata’s biggest achievements. Alongside that is the improvement in Maori and Pasifika achievement under her watch – Maori students obtaining NCEA level 2 is up from 51 per cent to 74 per cent and Pasifika up from 50 per cent to 79 per cent. Parata is full steam ahead trying to get education legislation that will transform the sector for the first time in 30 years through Parliament, while she also wants the model to replace school deciles signed off by Cabinet before she leaves. Special education and raising the quality of teachers are areas where she admits there’s still room for improvement, but she has carved a path in both those areas and no doubt Kaye will be “encouraged” to see it through. As for the country’s teacher unions, they would hold last year’s backdown by the Government on moving back to a form of bulk funding for teachers as one of their bigger wins. The relationship between Parata and the unions is a fraught one. Get the unions at the table and consultation is easier; get them offside and the punishment is brutal. Former PPTA president Angela Roberts sat alongside Parata for the past four years through the thick of some of her biggest challenges, and her parting words in an interview with this reporter spoke volumes. Roberts doesn’t doubt Parata is in the job for the right reasons – “she cares about it as much as I do”. Each has had her turn at criticising the other over the years – Parata was particularly furious when Roberts called her out at the PPTA’s annual conference last year for being a no-show (a last-minute addition to her travel schedule meant she wouldn’t be back in time). From Jerusalem, where the minister was attending the Global Education Industry Summit, she texted Roberts telling her how mad she was. The last time they spoke was after the PPTA had joined with the country’s largest teacher union, NZEI, to hold paid union meetings and protest against the Government’s push for bulk funding as part of the overhaul of the way schools are funded. Roberts described that as one of the “hard conversations” and the silence that followed suggested it wasn’t a high point to leave the relationship on. In the months since Parata announced her intentions to leave Parliament, her entire demeanour has changed. She’s been more bold and clearcut in what she says – the gobbledegook responses to Opposition questions in Parliament, for which she became famous, has almost completely disappeared. Parata is a woman on a mission – albeit a two-week mission until she reaches the finish line. Plenty will knock her record, but she disagrees the problems that plagued the early part of her career were failures or missed opportunities. Instead, she categorises them as “significant learning events”. It takes professionalism and resilience to survive the disasters she has – politically speaking it could be argued she’s mastered the art of resurrection.